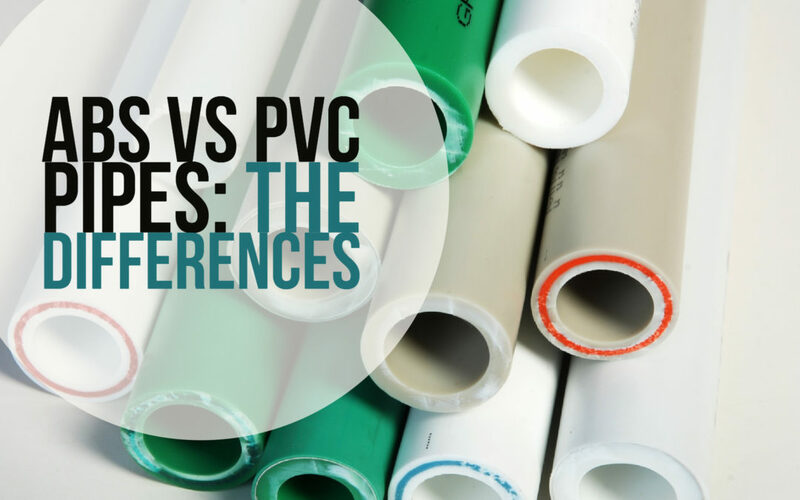 Even if you are not a plumber, you’re probably familiar with PVC pipe. But have you ever heard of ABS pipes? If you’re a homeowner, starting a new project or just want to know some plumbing basics, here is some good information on two common types of piping. Made from acrylonitrile-butadiene-styrene(ABS), ABS pipes are used for residential and commercial sanitary systems. ABS pipes are lightweight, safe to handle and easy to install. ABS pipes are easier to install compared to PVC pipes, but also more likely to deform when exposed to the sun. They are also easier and less expensive to install than metal piping, feature superior flow due to smooth interior finish and don’t rot, rust, corrode or collect waste. Lastly, ABS is better at handling severely cold temperatures, but again, it can warp with exposure to direct sunlight. Both ABS and PVC are used in pipes because they are non-toxic and resistant to abrasion. PVC is more flexible than ABS and is thought to be better at muffling the sound of running water. PVC pipes are easy to install, strong, durable and when they eventually reach the end of their service life, they can be recycled back into new PVC pipes. As a result, PVC pipe systems are very cost efficient. The plumbing experts at your Churchwell can tell you which type of pipes are ideal for your home, climate and needs. Give them a call for any plumbing job, large or small — they are the name to know when it don’t flow!